CAISO last week launched an initiative to develop a greenhouse gas accounting system suitable for an expanded ISO. The challenge for the ISO is to strike a balance between the requirements for California’s load-serving entities, which face increasingly stringent GHG emission limits under the state’s cap-and-trade program, and the needs of out-of-state utilities not subject to that mandate. CAISO is seeking to determine how it can modify its market dispatch process under a regionalized footprint to ensure that energy transactions serving load in California reflect GHG compliance costs, while at the same time allowing deliveries outside the state to exclude any emissions component. 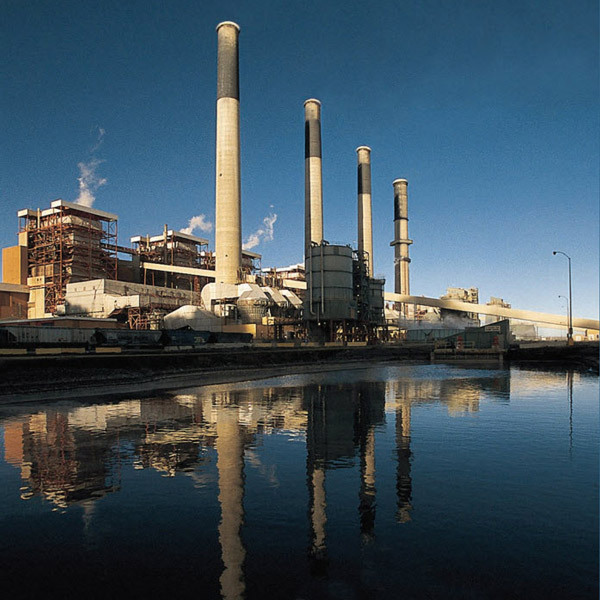 “As the ISO explores a transition from a predominantly single-state balancing authority area to a multistate balancing authority area, the ISO will need to model and identify market flows between market nodes subject to GHG compliance and nodes that are not subject to GHG compliance,” CAISO said in an issue paper. At present, all energy serving ISO load regardless of its geographical source is subject to cap-and-trade. Internal and external generators alike embed their GHG compliance costs within their day-ahead and real-time market bids, including start-up and minimum load costs. During market runs, the ISO’s market software selects from among those bids to determine the least-cost dispatch to cover all load. In other words, the energy cost component of the market’s LMP, which is the same for all nodes within the ISO, always reflects a GHG compliance cost. While that works for a California-only market, it becomes problematic for an expanded ISO in which LSEs in other states would effectively be forced to pay a premium for compliance with rules that do not apply to them. CAISO is seeking a way to extract the GHG compliance cost from energy bids by resources serving load outside California while retaining it for in-state loads within the state, all within a single market run. Because California thermal generators must include a GHG cost in their bids regardless of the location of the sink, however, the only deliveries excluded from the cost will be those in which both source and sink are outside the state. Another complication is that CAISO currently uses e-Tags to track GHG compliance obligations for energy imported into California. But as the ISO absorbs neighboring balancing authority areas, it will discontinue tagging of transfers from those areas as what were once considered imports become internal ISO transactions. The Western Energy Imbalance Market (EIM) could provide a model for an expanded ISO, with some limitations. Rather than embedding GHG costs within energy bids, the EIM allows a participating resource to submit a secondary “GHG adder” — in addition to the bid — to signal its willingness to deliver power into California. If the adder is set to zero, the resource’s output is ineligible for delivery into the ISO but can still serve load in other balancing areas. “The ISO designed the [EIM] so that the GHG compliance costs will not affect the price in an EIM balancing authority area when load is met from generation external to the ISO,” CAISO said. CAISO has acknowledged ARB’s concerns and is working with the agency to address the problem. The ISO also wants the board to consider the counteracting effect of atmospheric emissions reductions that occur when the EIM displaces out-of-state thermal generation with renewable exports from California, an approach that could inform GHG accounting in an expanded ISO. The ISO’s effort to address the GHG accounting is taking shape amid uncertainty about the adoption of cap-and-trade in the West at large. Any design has to be “mindful of the potential need to support multiple GHG trading programs” in the region, the ISO said. CAISO will discuss the issue paper during a stakeholder call today. Written comments on the initiative are due by Sept. 20. CAISO provided stakeholders an update on its efforts to address concerns that the Energy Imbalance Market is not properly accounting for the impact of emissions from dispatching out-of-state resources into California. CAISO’s effort to expand into a Western RTO will be postponed this year after California Gov. Jerry Brown told legislative leaders that he wants state agencies to take more time to work out a proposal.